Historic Roseland Park opened in 1876. The park was donated by the Bowen Family to the people of Woodstock and the surrounding towns. The park is operated by the Trustees of the Bowen Family Trust under the will of Henry C. Bowen. Henry C. Bowen was a Woodstock native who became an influential New York merchant, publisher, abolitionist and philanthropist. He spent his summers in a retreat he built on Woodstock Hill. The house is called Roseland Cottage, or "The Pink House." It is now maintained by Historic New England. The park originally accommodated hoards of attendees at Fourth of July parties that Bowen hosted each year. Bowen used to charge a small entrance fee, and there was parking for 1,200 horses and buggies. 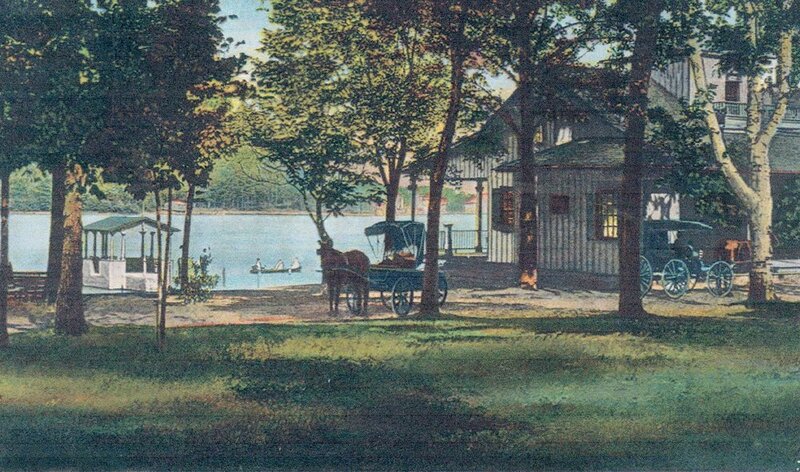 In Victorian days, the Park sported more than 1,000 rosebushes, gilded fountains, decorative statuary, wooded walking trails, a windmill, a boat house, dining room, and bungalows with maid service. The Park consists of 62 acres of forested land, manicured lawns, sports fields, and playgrounds. The park abuts the 94-acre Roseland Lake and offers over one half mile of shore line. Boat launchings are made easy by the well maintained crushed stone ramp. Sailing, kayaking, canoeing and paddle boarding are encouraged. Fishing is considered excellent in this state stocked lake. Park facilities include a playground, basketball court, pavilion, benches, boat launch, as well as the lake and ground. Activities include: boating, fishing, picnicking, walking and running. No swimming or camping is permitted. Roseland Park is dog friendly. Please remember, pets must be leashed at all times.